Fayetteville, Arkansas – Today on Kickstarter.com, MORE Technologies launches its expandable, modular STEM learning robotic ecosystem, MOREbot, that teaches people of all ages invention skills related to coding, 3D printing, electronics and more. As users learn and grow, the MOREbot ecosystem grows with them, accommodating different add-ons that help transform the robot into anything they can imagine. MOREbot starts with a Base Robot that users can build and then control via mobile application. Next, creators can expand the Base Robot by incorporating add-on kits to transform MOREbot into creations like a catapult or a robotic arm. By integrating such components as Motion Kits, Structure Kits and Sensor Kits, MOREbot users can reconfigure parts to invent anything imaginable, stretching the bounds of such capabilities as remote-driving MOREbot with a Bluetooth-controlled app. MOREbot teaches valuable technology skills related to coding, 3D printing and electronics using the Arduino software platform. It also prepares makers of any age to adapt to a fast-changing world by teaching critical skills like problem solving and design thinking. MOREbot is available at a fraction of the cost of those produced by leading competitors, all while offering unprecedented customizations and deeper learning outcomes because almost all of the parts are 3D-printed and snap together with readily available wooden dowels. The Base Robot contains one Bluetooth module, two motors, one Arduino Uno, one Arduino motor controller shield, eight (8) batteries and one (1) battery pack, over thirty (30) 3D-printed parts, CAD files, twenty-two (22) wooden dowels, four (4) jumper wires, one (1) screwdriver, two (2) rubber bands and free tutorials. MOREbot is currently available on Kickstarter ,starting at $69 for the Base Robot. For more information or to pre-order, visit pr.go2.fund/morebot. MORE Technologies believes kids have the power to change the world with technology, so they are making robots that put exploration, creativity and innovative thinking at the heart of the learning process. 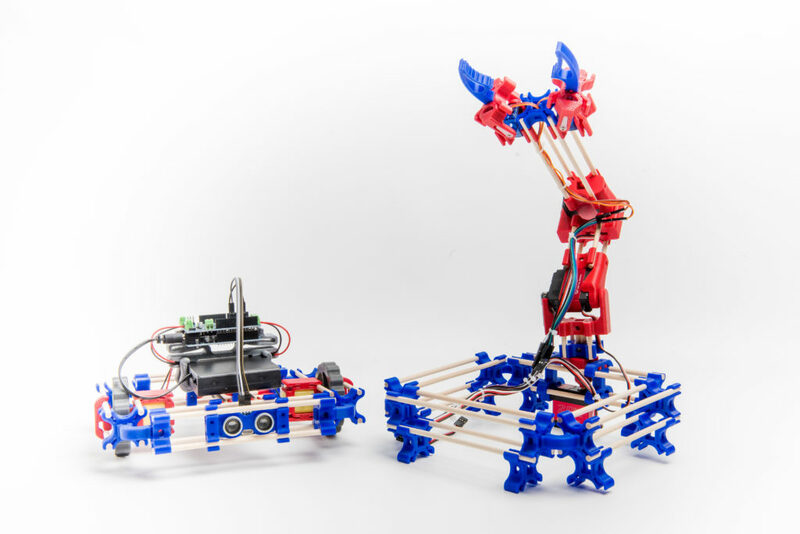 The company’s 3D printed, customizable robotics kits are designed for the classroom, home or anywhere a maker’s mind can imagine. MORE Technologies is preparing next-generation innovators for a fast-changing world and empowering them to solve the world’s most pressing problems. For more information, visit https://moretech.co.